Punch Quest has been downloaded over a half a million times. But RocketCat Games, the indie developers who made it, tells Pocket Gamer that "almost none" of the gamers who downloaded the free-to-play iOS app have coughed up cash. 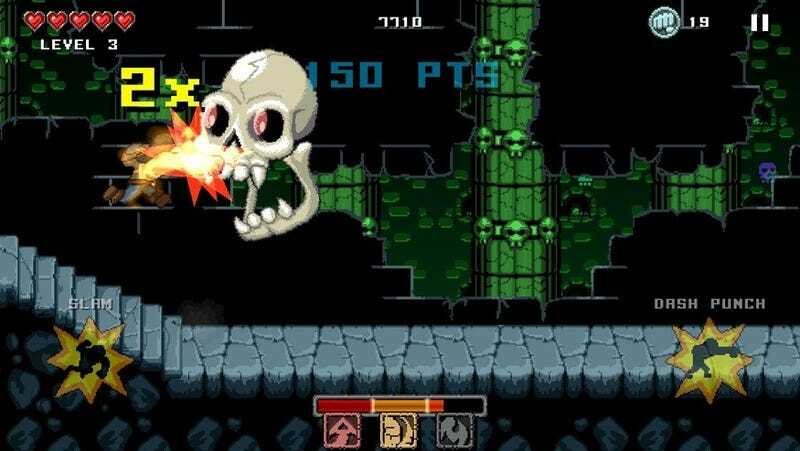 "Free games can usually expect one per cent of people to buy anything," Punch Quest designer Kepa Auwae told Pocket Gamer. "We're way, way under that. Maybe 0.1 per cent". The reasons for this range from an unassuming in-app purchase system to, well, the fact that the game seems to have no pay wall whatsoever. For players, that's great. For those trying to make a living, it's probably notsogreat. That doesn't mean, as Pocket Gamer points out, RocketCat is giving up: An update is planned, which *should* help with cash flow. "As a paid app, we would have made much more money, but we wouldn't have been nearly as visible or gotten even close to as many downloads," said Auwae. "Other than the ‘it's making no money to speak of' part, we're thrilled".